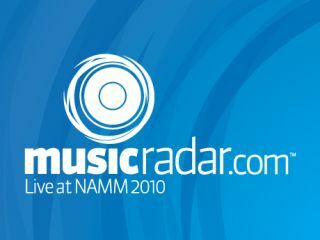 As a weary industry lands back on soggy UK soil with eyes still blinkered from an overdose of LEDs and ears still ringing from that familiar trade show rumble, we've the small matter of Day Four's NAMM 2010 highlights to attend to. Check out the Fender/T-Mobile MyTouch Android smartphone on video, take a tour of the Vox stand, hear Chad Smith talk about music in schools and get the skinny on Slash's Marshall AFD100 'Appetite For Destruction' amp. And, of course, it wouldn't be NAMM without the obligatory craziness from the basement: check out the coolest and weirdest from the show floor in pictures. Expect our final best-of-the-best round-ups to follow shortly. Once we've stopped blinking.